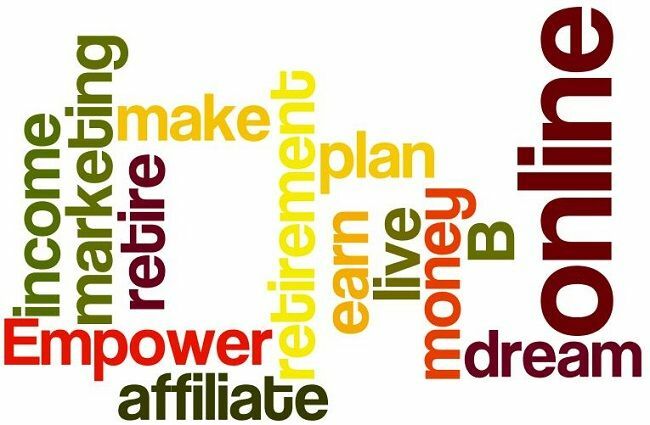 Affiliate Marketing – Is it the new Retirement Plan? The state of today’s economy has everybody in a state of uncertainty. Nobody is in a more precarious position than those who are close to retirement age. Day after day more and more people over 50 are losing jobs they have held for 20 years or more. This population has been hit hard. First, the economy tanks and takes their retirement funds along with it. Because the economy has slowed, members of this population are now the first to lose their jobs, as it is more expensive to keep them on compared to a newer employee. To top it all off, these folks can’t find a job because they are competing with 20-somethings who will move back home after university and make less money. This segment of the North American population is in real trouble and is looking for alternative means to make money. Many of them are turning to affiliate marketing. When you think of affiliate marketing, think of a freelance salesperson. Affiliate marketers promote products and services for other individuals or companies. When someone buys from an affiliate, the affiliate makes a commission. The great thing about affiliate marketing is that there is no physical inventory for the affiliate to maintain. You simply promote the product. The producer of the product handles the distribution. You make the sales and collect the commissions! There is no shortage of products to promote on the internet. You can promote anything from books to software, blenders, and even shoes. In order to figure out what to promote, you’ll need to determine your niche and target market. A word of caution – some affiliate products are free, but some of them require you to purchase the product first. Otherwise, choose products you believe in or have used. Your buyers may have questions about the product. You won’t be able to answer them if you’ve never used the product. Maintain your integrity as an affiliate marketer. If your buyers believe you’re merely pushing products, they won’t buy from you. There is money to be made in affiliate marketing. HOWEVER, for most people it’s not going to happen tomorrow. There are a great number of affiliate marketers who make six figures annually (some much more ) promoting products. With that out of the way, the percentage of commission varies by the product. The industry average for commissions is about 30%. Some products pay a greater percentage and some less. It is your responsibility to do the math to see if the product is worth your time to promote. Getting started in affiliate marketing is EASY! Most people know about promoting products on Amazon, but did you know that companies like Walmart, Target, and Barnes & Noble offer affiliate programs as well? Do you use Internet marketing tools such as a paid memberships or autoresponders? Odds are there is affiliate income available there. One of the best places to find products to promote is on Clickbank.com. For retailers, go to their website and scroll down to the footer. There is usually a link to sign up for their affiliate program! This economy is forcing people to seek alternative means of making money, especially those in the retirement window. Don’t wait for a traumatic event to put you in a desperate situation. Go to Clickbank.com or Amazon.com to get started on your affiliate marketing journey today! P.S I personally love the Affiliate Marketing model. Why re-invent the wheel when you can choose a product in your niche (something that you know about and are passionate about ) that has already been created and market it. You just collect the commisions. My choice however is to work with high ticket affiliate products where I collect 100% commissions and am learning cutting edge internet marketing strategies as we go along. Click this link, enter your info and watch the video to learn more.